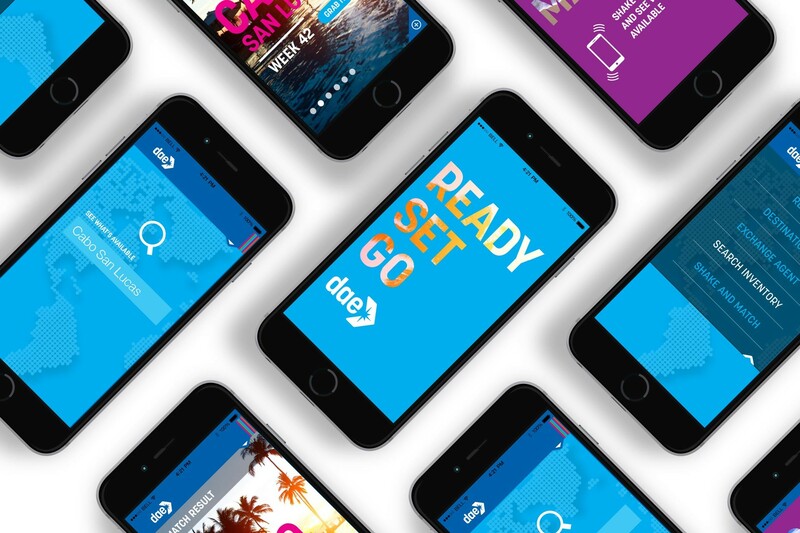 DAE, a global timeshare exchange company with strong footholds in Asia, Australia, and New Zealand, came to Brand Tango in search of a provocative brand positioning that would give them an expansive and challenging stance in a monopolized American market. The outcome was based around the concept of disrupting industry competitor standings by distinguishing the brand as a consumer advocate and brandishing a more simplified, accessible approach to vacation ownership. 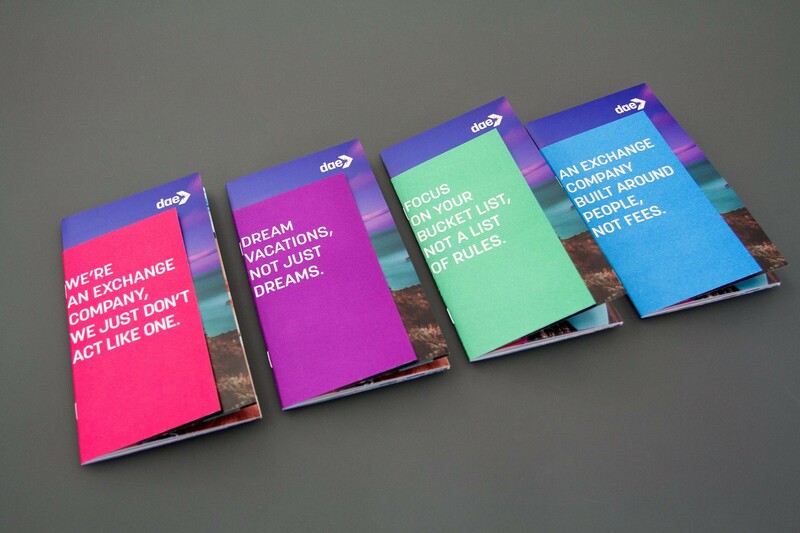 The reimagining of the personality, visual identity and values developed all stemmed from this core idea—peppered with a calculated messaging strategy supported by edgy and vibrant design themes. Shaking up an industry is fun when your client is willing to break some rules. 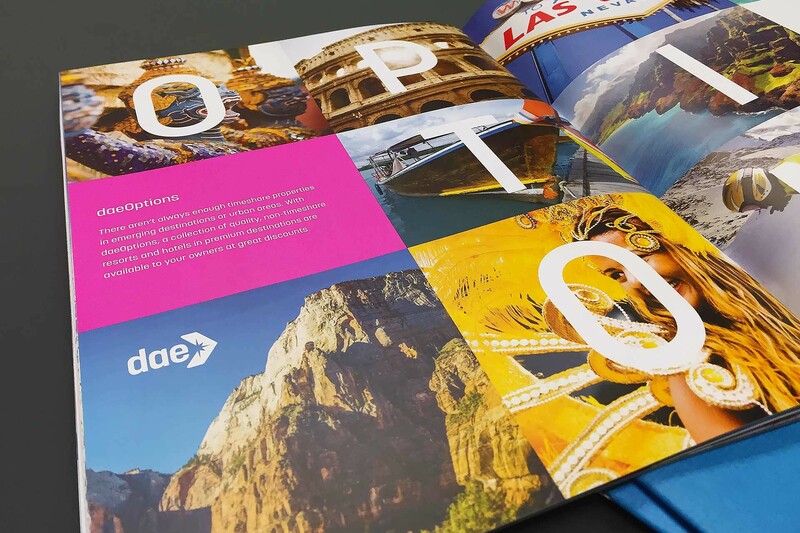 Our team seized the opportunity to tailor new B2B and B2C design collateral for DAE—all of which reinforced their value proposition that challenged its competitors by promising a better exchange experience with easier access to joyful vacations. 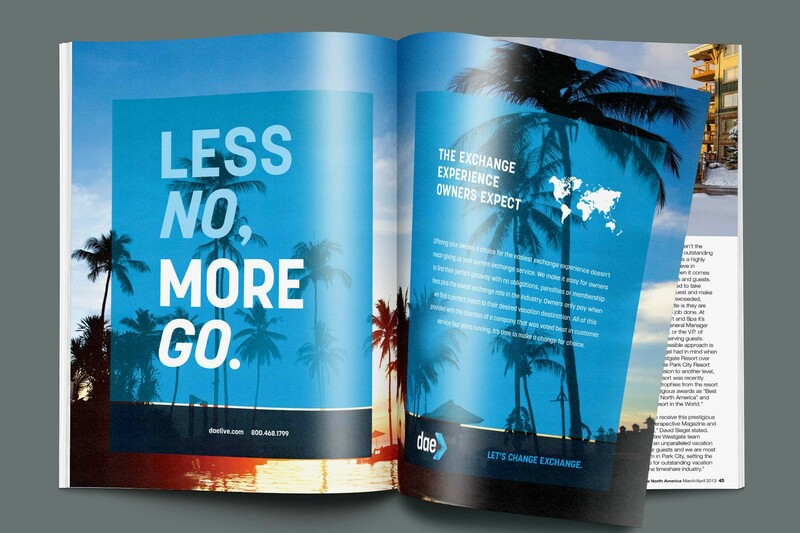 For example, one of the more powerful taglines our team developed—‘Let’s Change Exchange’— was deftly inserted into the printing techniques on raw materials. 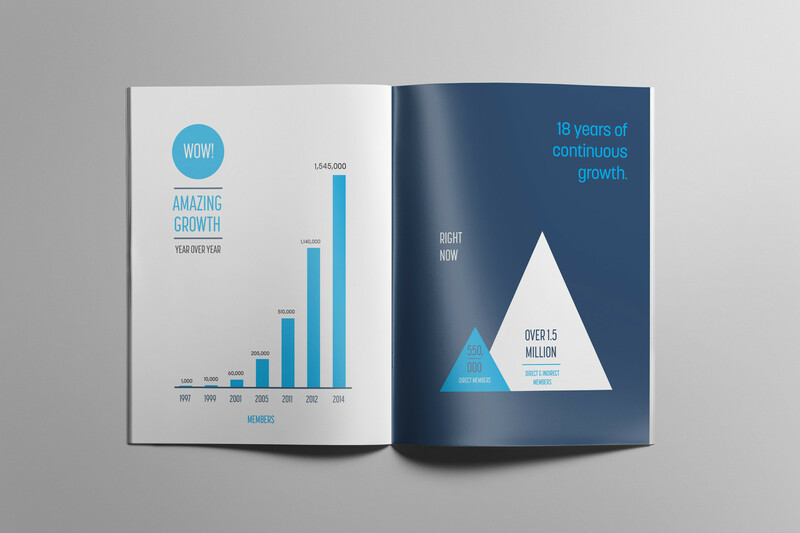 Chipboard for the brochure’s front cover were starkly juxtaposed with the inside front cover’s highly-coated, laminated “liquid water” sheet, resulting in a beautifully executed message of disruption. 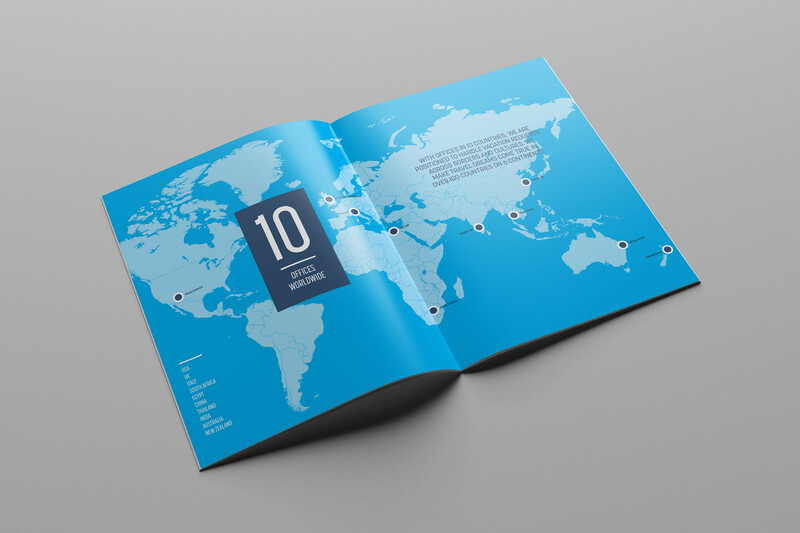 Additionally, brand accent elements included an adjustable map silhouette and a True Blue translucent box that highlights the transparency of the DAE product and its seamless addition to a client’s vacation services. 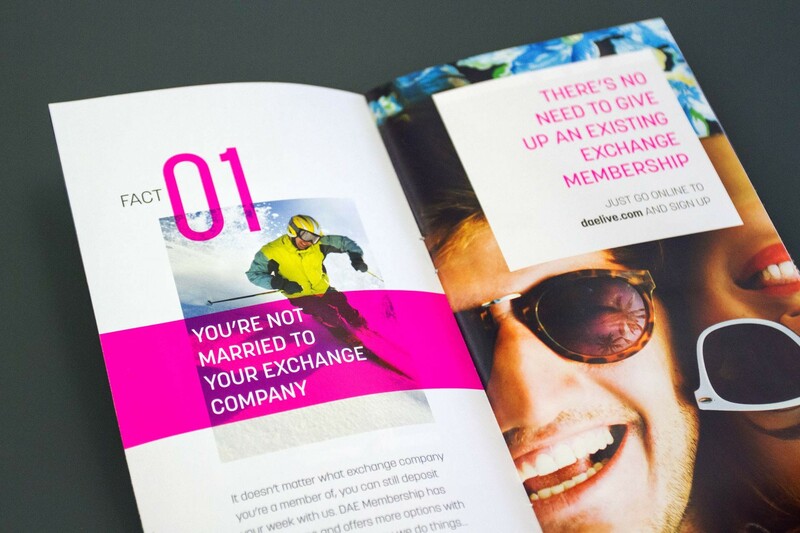 To our delight, DAE won recognition in the timeshare industry due to this campaign, and thus, gained the ability to impact more decision influencers. 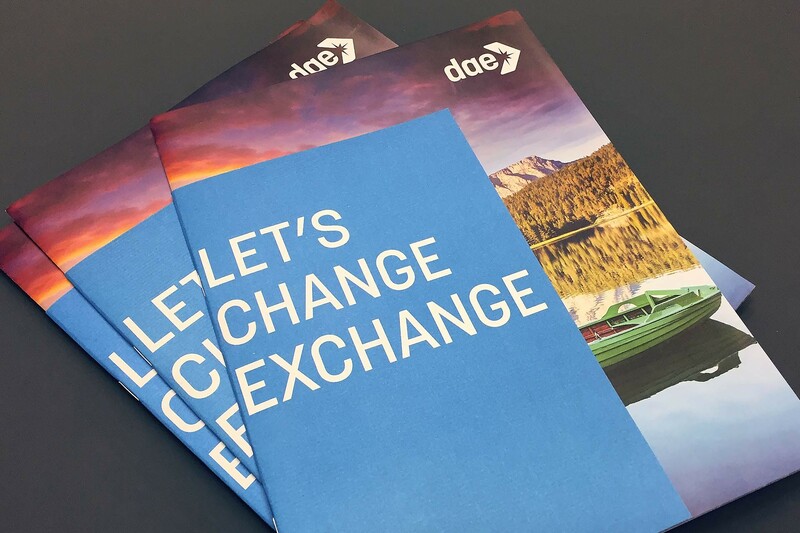 By expanding the dialogue beyond exchange to needs-based solutions, DAE is now a stronger partner to vacation owners and timeshare providers and has amplified its ability to develop future solutions. 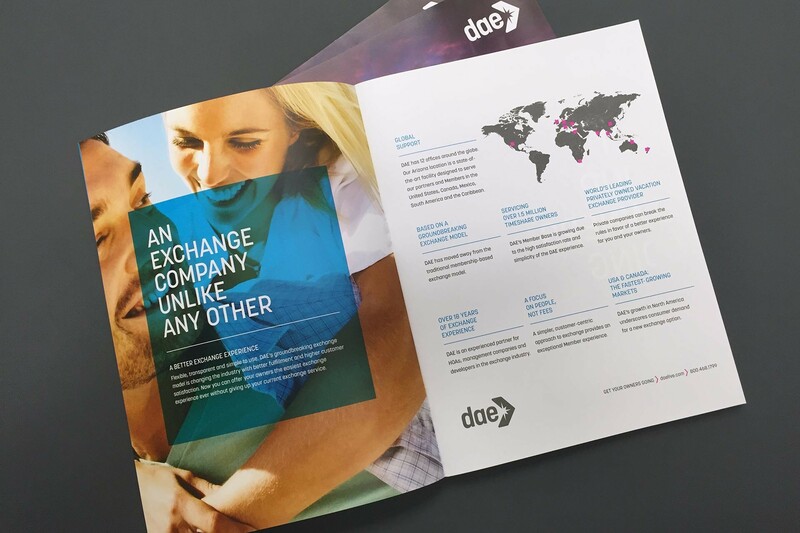 We continue to work with DAE to evolve their digital footprint and bring easy exchange through mobile and web. 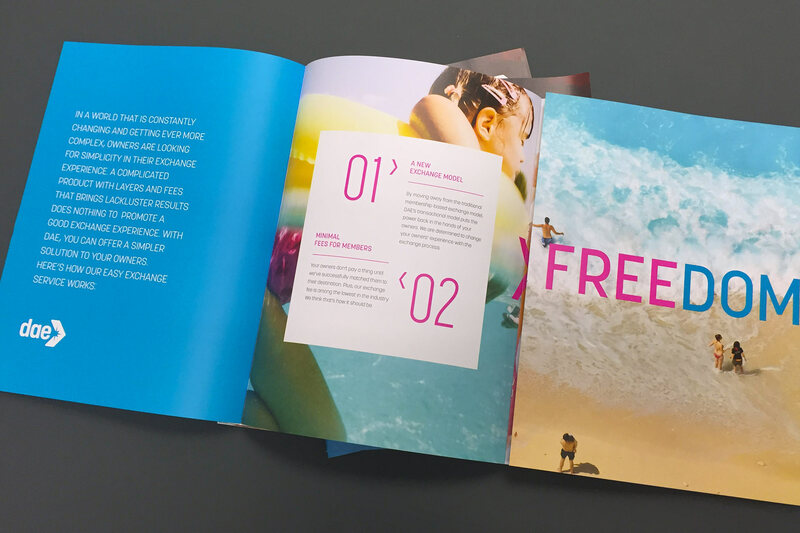 Our team provided DAE with more than just touch points for execution; we ensured that the design execution and print/production standards protects the integrity of these new brand campaign assets as they are extended across various mediums.